The AKG C516ML is a high quality, miniature microphone designed for capturing instrument speaker cabinets such as guitar, keyboard, accordion, etc. The included screws and double-sided, solvent-free adhesive pads make it easy to install the microphone on your instrument or amp exactly where you need it. The cardioid polar pattern reduces feedback and minimizes noise and leakage that may occur from adjacent instruments. 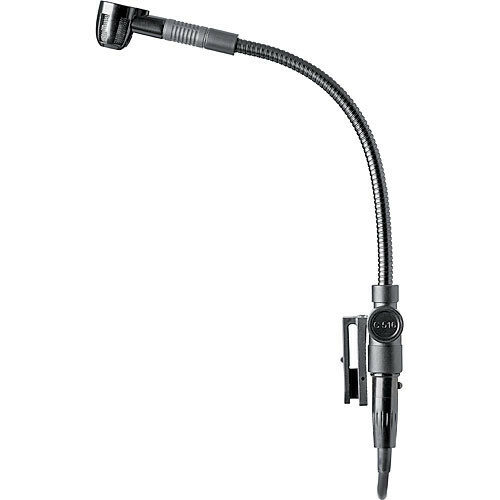 An adjustable gooseneck provides stable microphone placement. The C516ML is sure to be an efficient tool for crucial recording, project studio recording and live sound reinforcement. Includes screws and double-sided, solvent-free adhesive pads for instrument or amp mounting. Box Dimensions (LxWxH) 8.0 x 5.7 x 2.8"